Ready for framing, these prints are museum exhibition grade. Printed on Hahnemühle fine art paper with one of the latest archival quality 12 ink professional printers by Canon for outstanding results. Sizes range from 7x5" up to 18x12" with prices ranging from £50 - £95 for single images or £36 - £68 each as part of a collection with an early bird discount. Art ready to hang on your wall, no glass and two types of wall fixings (flush mount and floating effect, so as to be compatible with the Photo Block Montage). 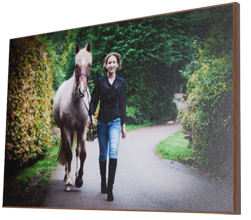 A high quality durable print is dry mounted to a solid MDF block with a choice of edge finishes to suit any room. These are single images for solid statements. Sizes range from 12x8" to 40x30" with prices ranging from £130 to £355 for single images or £94 - £256 each as part of a collection with an early bird discount. 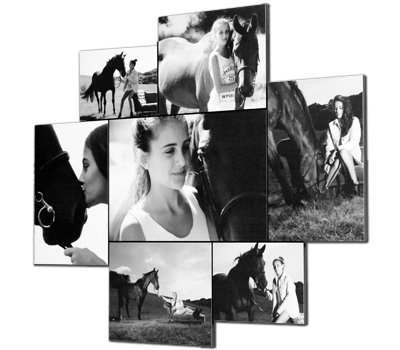 A montage is a spectacular and creative way to display a combination of photographs. They are made from the same materials as the single image Photo Block, so are very similar and would compliment each other if hung together. There 4 standard combinations available with custom options on request. 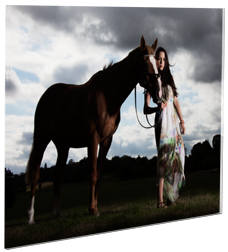 Ranging from an overall size of 15x15" with 5 images for £400, to £830 for 7 images in an overall size of 31x26". The Acrylic Wall Print consists of a glossy print encapsulated between two sheets of premium quality, high visibility, clear acrylic. It is fixed to the wall using a keyhole tab (for a screw head) that is attached to the back, so that it is not visible when hung, to give a floating effect. A suitable companion to the Desk Art Acrylic. 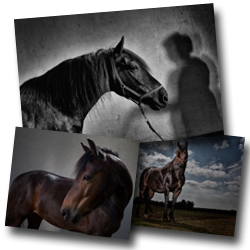 Sizes range from 16x12" to 60x40" with prices ranging from £431 - £1,167 for single images or £388 - £945 each as part of a collection with an early bird discount. ©Centaur Photographic Ltd; all Rights Reserved. Content may not be used without the prior express written consent of Alec Whitby (Director). NB: Cookies are used on this website for Google Analytics and the shopping cart. Personally identifiable information is NOT collected by Centaur through Google Analytics, but you must register and log-in to use the shopping cart or Availability Checker to make a purchase.